RIP to Dr Jeffrey Bradstreet a doctor who sat on the opposite side of the argument of vaccines. Yes there are actually quite a few despite what the CDC, MSM, and social media tell you. 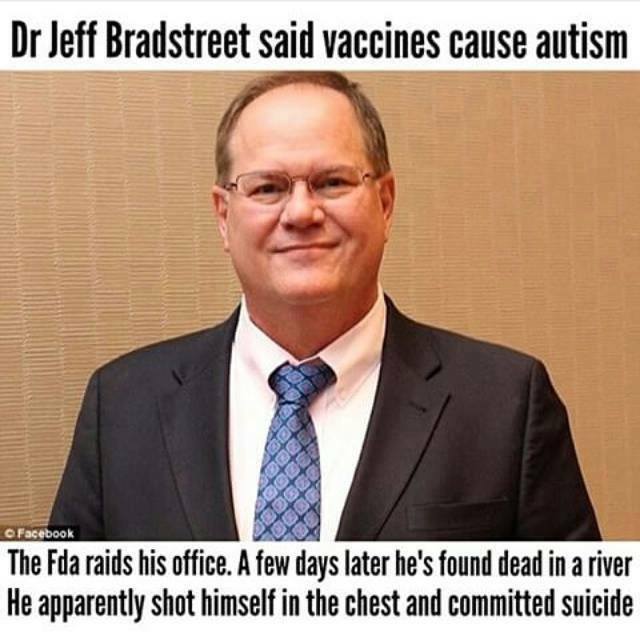 This man came out saying he had made the connections of autism and vaccines. He had also been treating autism in children. This is being called a "suicide" but it is pretty hard to believe beings he was found dead in a river and authorities reporting he shot himself in the chest. Seems pretty odd that I person would commit suicide and then dump himself in a river afterwards. He was silenced but please don't let his research be silenced. Here is a little info on Dr Bradstreet. Please share.